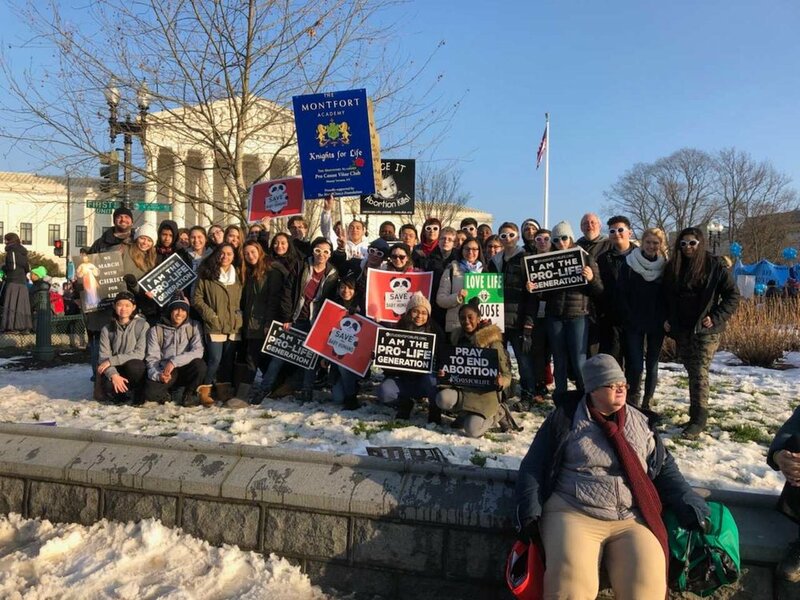 On Friday, January 18th, The Montfort Academy closed school and brought over 45 students and chaperones to Washington DC to attend the 46th Annual March for Life which marked the anniversary of the infamous Supreme Court decision, Roe v. Wade which effectively legalized abortion for all nine months of pregnancy. They joined over 100,000 other high school and college students and other Americans by first attending mass and then joining the rally and march. They listened to speakers such as Vice President Mike Pence and journalist Ben Shapiro. Thank you to the members of Montfort's Pro Causa Vitae Club for organizing the bus and to parents Kathy and Dan Brusstar for their generous support of the club.